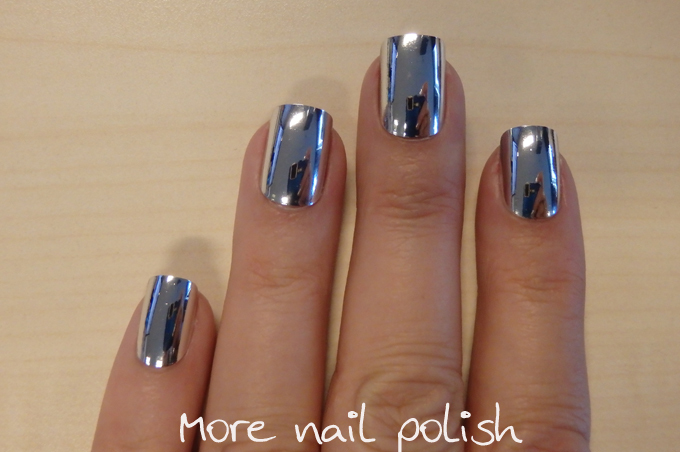 When you are feeling really tired, or maybe just a bit lazy, but you still need to do your nails before going to work, because no one ever sees you unpolished, then just grab some stick on nails. You'll be done in about 10 minutes and they can look pretty damn impressive. 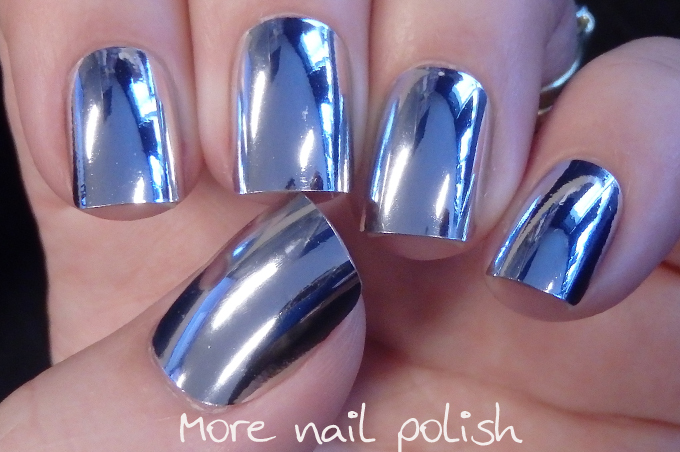 This is another pair of 1000Hour Metallic Nail. I've previously worn gold and blue ones. See the mottled pattern all over these? 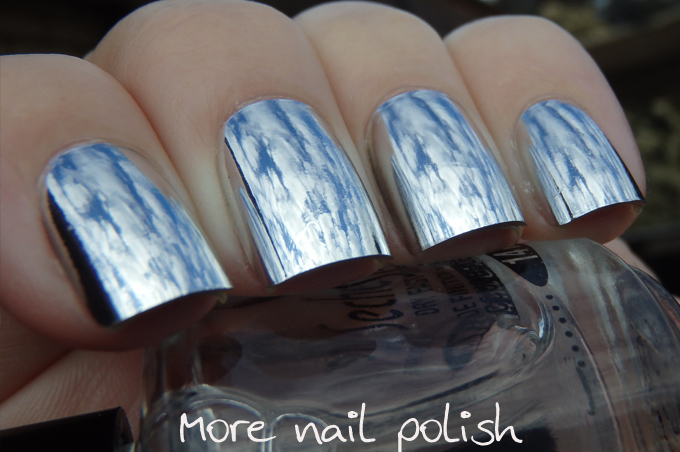 That is the cloud reflections in these nails. These really are mirrors, but luckily I kept my nose out of the photos. 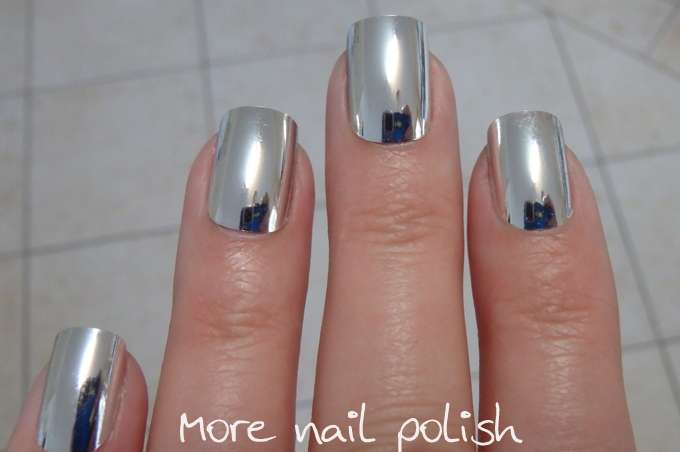 I totally rocked these mirror nails, plus these ones can be filed to the shape of your nail, and reused over and over again - you can even stamp on them and clean with acetone. I just stick them on with the sticky tabs that come in the packet, and they last me a full day with no problems. 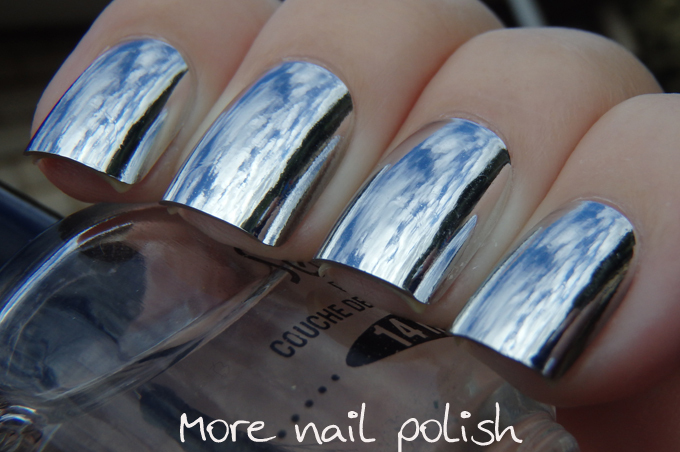 They are not for every day wear, but for lazy nail days or special occasions these are perfect. I bought these from Price Attack about 18 months ago. Edit: I've had lots of people ask where they can get these nails. I bought some from Woolworths and some from Price Attack, but you can also purchase through their website. Here are a couple taken indoors, and you can see my little Olympus camera reflecting in the nail. 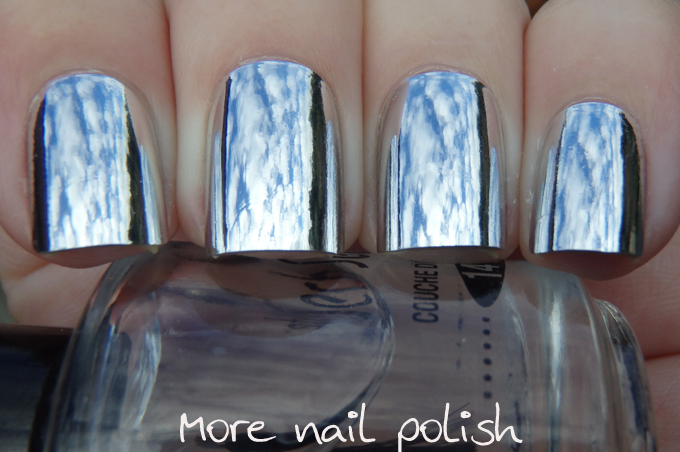 Wow I've never stick on nails that were this reflective before :o They look really good, not fake at all.